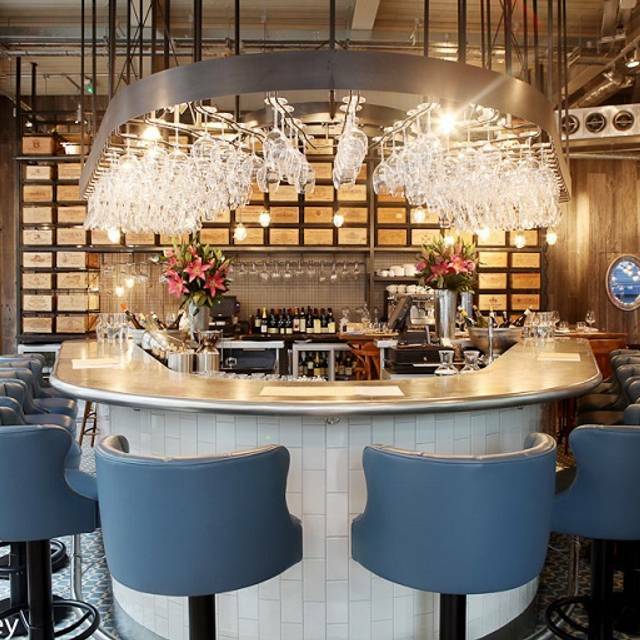 Located in the heart of fashionable Marylebone and a short walk from Bond Street tube station 28°-50° Marylebone Lane is a relaxed, wine-focused bar and restaurant offering a seasonally changing modern-European menu. Guided by a team of sommeliers 28°-50° Marylebone Lane has one of the most unique wine lists in London, featuring a range of 15 red and 15 white wines by the glass, carafe and bottle at exceptional prices. Our 'Collectors List' is showcasing fine wines from private collectors, offering our guests a chance to discover more unusual and mature wines at their peak, some of which are rarely seen in other restaurants. 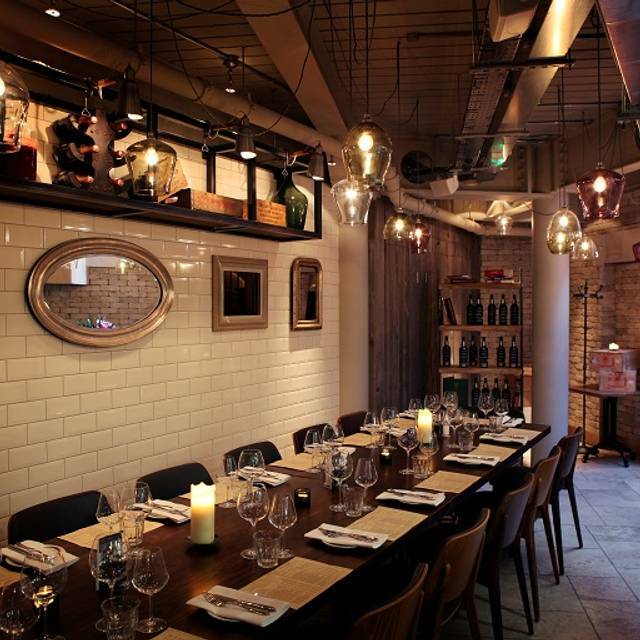 Spread over two floors, the venue features two dining rooms and a 12-seater bar. Whether you drop in for a drink or to dine you'll have a really special time. We also offer 'al fresco' dining and our private room is available for events, celebrations or corporate get-togethers. It was quiet as close to Easter but that suits me. Food was light and tasty and service very good. Fantastic wines and lovely atmosphere. The food menu is limited, especially for vegetarians, but what I had was delicious. Good and friendly service. Would definitely go again, although it's quite a pricey night out. Love the place. Very nice atmosphere, very nicely presented and delicious food. I love light but tasty and that is exactly what we got. Staff is charming. 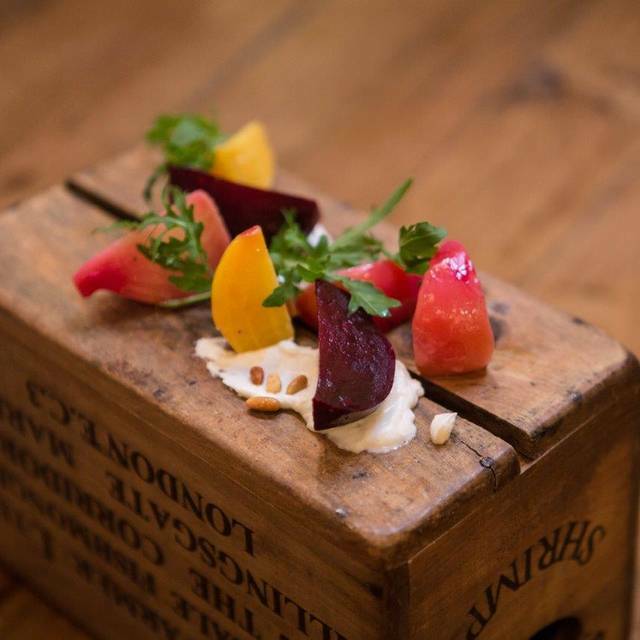 Characterful bistro with cheerful and attentive service and delicious food. A bit on the pricy side for both food and wine - more restaurant than bistro level - but I wouldn't knock it too much for that. Service was confused, inconsistent and late. We sat for 25 min before being offered a glass of water and even at that we had to flag down a server. It was never clear who our server was. Good service....my cheese dish was ok but too much sauce? Soup v.good. £75 for 2person/2 course meal/1 wine seems a bit high...but not excessively so. Nice place to sit at lunchtime. we booked this on the hoof as we hadn't made reservations anywhere. So glad we found it. Amazing oysters! Simple but imaginative food and excellent service in a pleasant setting. Great food and atmosphere. Friendly service, but not attentive enough and painfully slow both for drinks and food to arrive. Bill was incorrect on arrival. They’re very close to an excellent restaurant but let down by the detail and pace of delivery. Will go back though. Delicious food in a nice setting. The service was very friendly but at times quite slow and inattentive. It’s quite a limited menu but everything we ordered was very tasty. The wine is pretty expensive, even for London. Everything was good except the food. The food was fine but, there was no effort in plating, presentation. and overall felt very cheap. Had the holiday course meal here with my boyfriend. The food was delicious but we receive the wrong main entrees. The appetizer soup tasted like the sauce used in the main entree. It would have been great if the waiter could have noticed our choice and suggested something more diverse. Food was outstanding. Very nice relaxed atmosphere. Highly recommend. Christmas Day. Fantastic food and great value. Really great wine list at reasonable prices. The food was very good and the restaurant itself was beautiful, but the service was appallingly bad. I was seated fairly quickly, but my friends waited at least five minutes at the front door while two waiters played around on the computer without looking up. After my friends were seated, the waitress (who was absent the entire night) did not take their coats as she had mine. We then waited at least 15 minutes for a drink order which only came after I grabbed a random waiter and asked him to find our original waitress (he instead took the order himself). A third waiter took our food order. To be fair, the food and drink came pretty quickly, but then nobody stopped by the table for the rest of the night. After a fourth server collected our plates, the original waitress (who I believe left without notifying us) never came by with a dessert menu. We had to grab a fifth waiter to get our bill. The restaurant was certainly not understaffed; in fact, it seemed overstaffed. There was no accountability and we left immensely unsatisfied. With no more than 20 tables in the entire restaurant, it seems inconceivable that they couldn't manage their assignments. Nice for a date, business meal or special occasion. Medium-quiet background music. Great manager who promptly addressed any questions or issues we had during the busy holiday season. Great location, nice environment, acceptable food, poor service. I have previously visited the restaurant on a weekend in a party of six people and found it excellent with brilliant service. This time the service was very sporadic and our main course took absolutely ages to arrive. We both had pork belly and it was really very good when it did come after prompting. It was highly noisy to begin with but did quieten a little so not a restaurant for a quiet date as also tables are very close together. Seated by the door and a cold draught every time someone went in and out. 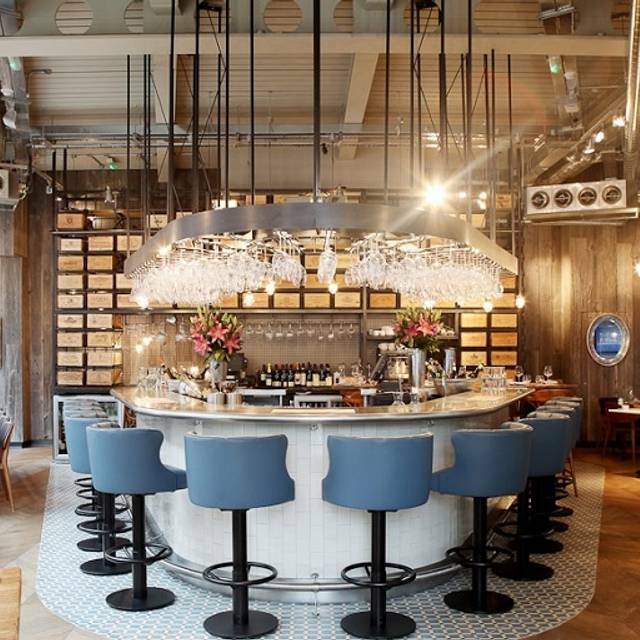 Service was horrible - given we spend around GBP200 for a two person meal, would definitely not recommend - rather go to 28-50's Maddox Street restaurant. Table wasn't ready upon arrival despite reservation. Then our table was located in a place, where each time the entrance door was opened, cold air would stream directly at it (waiters didn't bother about making use of the curtain on the entrance door installed exactly for this purpose). Restaurant was further unusually loud as large group was poorly allocated creating significant noise in one part of the restaurant. Service then took 15min to notice us at our table once we were seated. We ordered cocktails as an aperitif, however they did not arrive until we were in the midst of our starters (with which we intended having wine). Once this delay became obvious, we wanted to cancel the cocktails and go ahead with wine order, however the waitress (who heavily struggled with her english) said this would not be possible as the cocktails were "ready" - they came 5 minutes later or so (please note this was maybe half an hour into the meal with still no drinks served). Our wine then also was delayed and arrived in the midst of our mains. As a cherry on the cake, when finally paying they didn't take Amex (despite having paid at the same place with Amex multiple times). 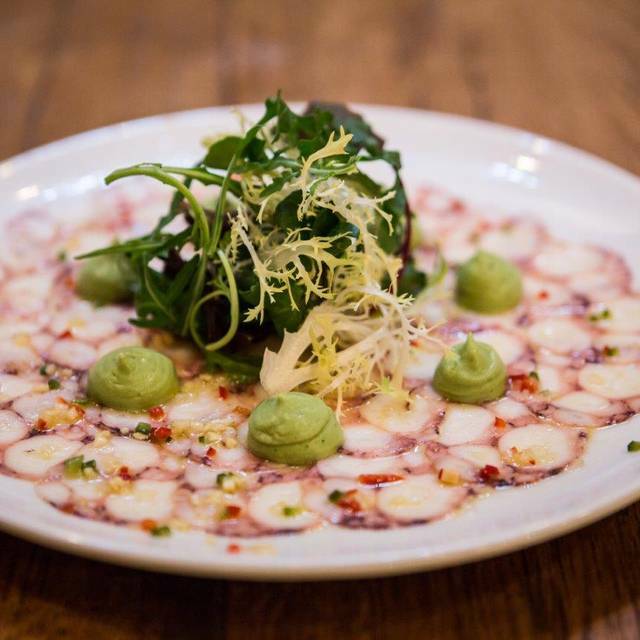 The Marylebone restaurant always was a bit weaker than the one in Maddox street, however with this experience it has become unbearable. Don't get me wrong the food is great, which is why used to visit 28-50 so often, however this visit was so unpleasant that I definitely will not be visiting the Marylebone restaurant again. 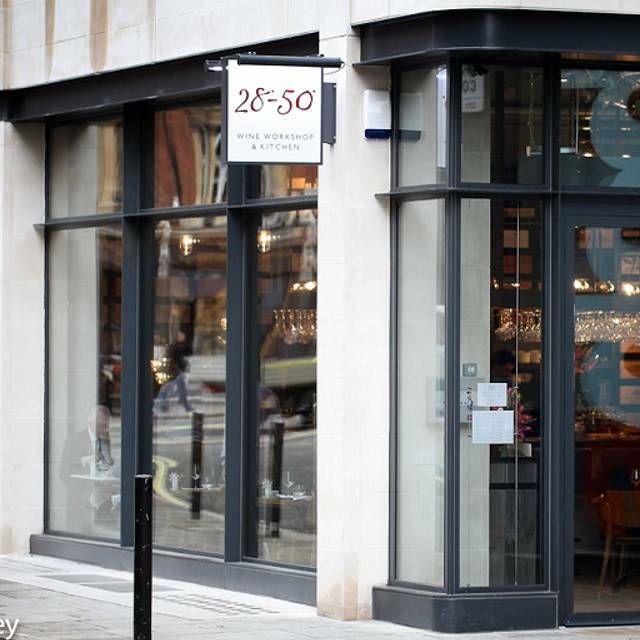 Would strongly recommend visiting 28-50 at Maddox Street (different owner, still founder-led/owned), a truly great place offering a significantly better experience as the staff is better trained and the vibes & setting are nicer. We were there with a group of friends (6 people) great service and good food, would go back. Prices were in the middle / upper range, ended up being £55 per person (including wine, shared starters, but nobody had desert). 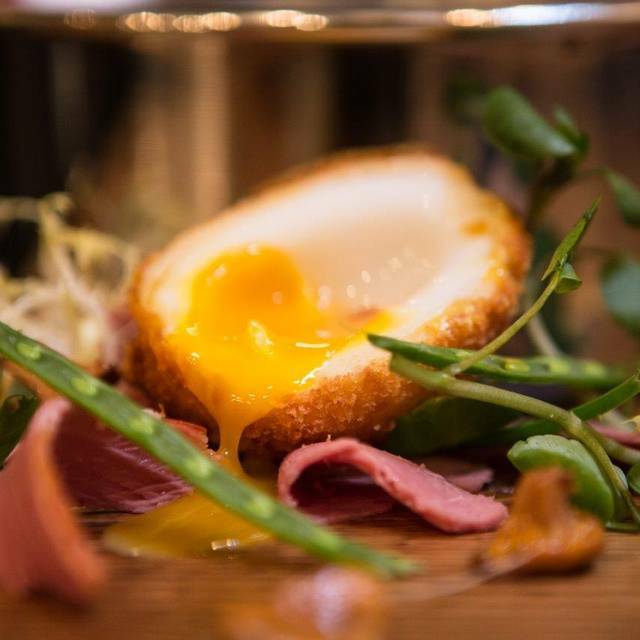 A really enjoyable lunch right in the heart of London, perfect for entertaining customers. Venue is not too large so a nice relaxing atmosphere. Staff were very friendly but may a little lacking in knowledge, as ordering the drinks and main meals wasn't completely straight forward. When asking for an explanation on the cheese board that was presented, the person serving us had no idea what cheeses we had been given and simply called them soft or hard cheese. Other than that a nice lunch, food was good and all guest left happy with the lunch that was served. 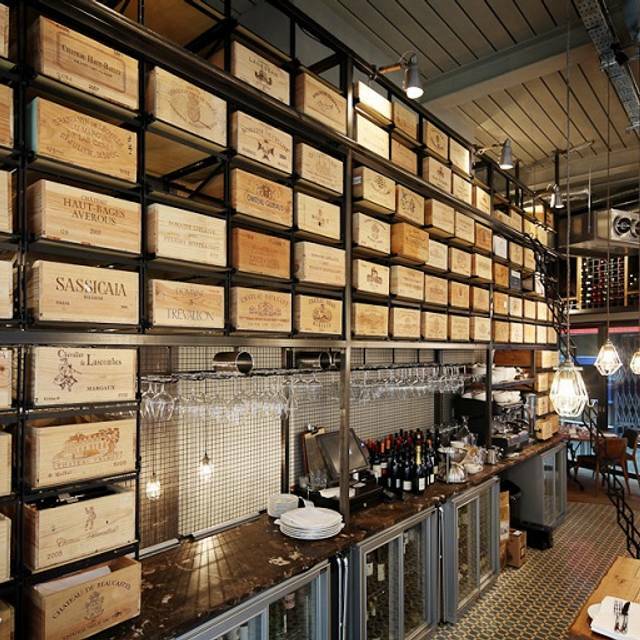 The best wine bar in a London. Amazing choice of wines, super friendly staff and perfect ambiance for cosy dinner. Delicious food, friendly staff, pleasant and relaxed atmosphere! This was one of the best meals I've had in a while. Booked randomly just because I was looking for something in that particular area, and although menu isn't huge, it still offered something for veggies, fish lovers and meat eaters. 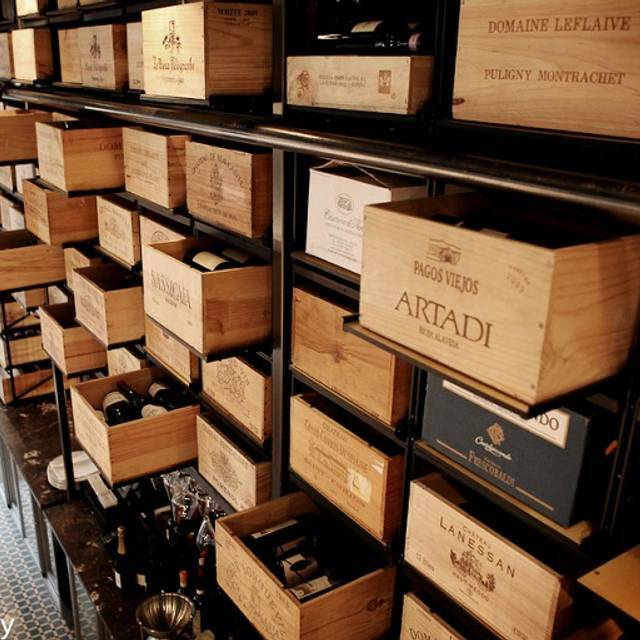 The wine list is great, and can get a bit pricey, but SO worth it. Every mouthful was delicious. Ambience was perfect for our occasion - 5 old friends catching up. There is bar seating available which creates a more relaxed atmosphere, however the presentable and attentive waiting staff add some class. Excellent service and good quality food (icelandic on this occasion). Brilliant food and good service from one of the waiters who was chaming and attentive - she made us feel very welcome. Wonderful gravad lax with a Chablis - good choice - intriguing ryebread and a dill cream sauce - heavenly. I then had a spicy seared tuna - beautifully fresh and subtle combination of spices and chorizo - worked amazingly well. Desert icecream was a plum sorbet - pure essence of plum - very light and not too sweet. Would have given this 5 stars were it not for the offhand attitude of some of the front of house staff - felt as though we were interrupting them - made to feel a bit awkward. We were there for a drink with a couple of friends. The restaurant has a great menu but we didn't eat on that occasion, just ordered a charcuterie board, a bowl of nocellara olives and smoked almonds. Would ideally like to see more options for nibbles and small plates to accompany your wine. We were pleasantly surprised to see Bulgarian wine on the menu and would recommend it. A very good location and pleasant atmosphere, not noisy and excellent service from a predominantly French team.